Chief Outsiders Fractional CMO, Neil Anderson, has a conversation with Vistage Member and CEO of Scottish Stained Glass, Martin Faith, about his experience with Vistage, an executive coaching organization that provides leadership training and business coaching to CEOs and Executives. Martin, could you tell us a little bit about yourself? I was born and raised in Scotland. I went to university in Western Scotland and received my degree in Economics. Shortly after finishing university, I became a partner in a small home improvement business. Later, my wife was offered a job in Colorado and we moved here in 1991. We have three children that were all born and raised here. Jordan, Katie and Abbey range in ages from 15 to 25. Will you tell us a little bit about your three businesses? I started in the stained glass business more or less as soon as I came here, after applying for a work permit and for residency. After all of this was taken care of, I started importing stained glass from Scotland. I discovered there was a market for selling old antique pieces. After I sold them all, I knew I needed to begin producing my own stained glass pieces. Scottish Stained Glass Corporation has grown from a sole proprietorship to a business that is now in seven cities: Denver, Kansas City, Salt Lake City, Dallas Fort-Worth, Houston, Austin and San Antonio. We have 50 employees and serve 30,000 customers with about 70% being residential sales and 30% religious buildings. We work with every religion and we also restore windows in old churches. The second division, Scottish Home Improvements, is a siding company in Colorado that serves more than 3,000 clients. We install siding and replacement windows and we specialize in a product called James Hardie Fiber Cement Siding. Last year we were voted the #1 siding installers for that siding product based on independent research. The final division, Scottish Window Tinting, has been around for nine years and we have around 10,000 customers. We install window films for solar control, privacy, anti- graffiti, mirrored glass and many other films. There is a film for almost everything! We serve Colorado, Texas, Utah, Kansas and Missouri. How did you find Vistage...or how did they find you? Vistage found me! My first chair was Dave Avrin. He was someone that I knew from when he was in the PR business. He invited me to join a meeting to see what the experience was like and I immediately become a member. Are any members of your organization in Vistage groups? My wife, Gillian, also works in the business with me, is our HR director. She has been in a key group in the past but took some time off to complete her master’s degree. We are also in the process of signing up our Operations Director. Sometimes when we have speakers that are relevant I bring other members of the company into some of those meetings. What are the top values you have seen coming from Vistage? Our business has increased by 300% since joining Vistage. Most of this growth occurred in the first five years. The bottom line growth has been huge in the last few years. It is not just about the return on investment on the bottom line or profit. I started a business without having much knowledge on how to run a business. You get to a certain point where you are your own worst enemy when you are CEO with no formal business education. I think the biggest investment now is to know what I am doing. How has Vistage improved your business strategy? I think my strategy has improved in now having a strategy as opposed to never having one before joining Vistage. When you don’t know very much about business, all you want to do is grow your sales, which is good but not everything. You need to focus on the structure around your business so that when you grow your sales, you make sure that you also grow the operations side. When you listen to other members in the group talk about these issues, you learn more as you process the challenges as a group. Some members learn just as much from that as when they process their own issues because you can relate to the other members’ challenges and apply them to your own business. Vistage is not a home for sick companies. If somebody has a company that is failing, I don’t think Vistage is a place to go for them. If you have to worry about writing the check each month then you probably shouldn’t be there. It is a place for successful companies to come together and make their companies even more successful. Would you give me a specific example of how Vistage helped your business grow? I decided to take the suggestion of one of my peers from Vistage and hire a part-time CFO. Somebody just to come in and take a look at our books and put some numbers together. It was only after he had been working with us for three months that he came to me and said, “This part of your business isn’t making any money – in fact it is probably losing money and it is bringing the rest of the business down.” We decided to close this portion of the business which positively affected my business overall. Vistage members have monthly check-ins with their peers – can you tell us about that process? We send all of our check-ins in writing to the group in advance so that our peers and leaders can read through them before we meet. This enables the in-person check-in to be more of a 2-3-minute overview. Based on these we will usually have a pretty good idea of what issues we may need to address later on in the meeting. How often do you see speakers in Vistage meetings and how have you used these expert opinions in the past? We usually have 8-9 speakers a year that attend our meetings. Usually the speakers are really great and a couple of them have changed the whole way I have done business. The very first speaker I had 8 years ago was someone who talked about search engine optimization, which was a newly relevant topic. I ended up hiring her as a consultant to my business because I couldn’t understand why I had the biggest stained glass business in Colorado but my website didn’t always show up first when you searched for stained glass. With her help we really gained some traction. Last year, we had over $3 million in sales from our 28 websites. We also now have a full-time team that takes care of our websites as we grow and expand. The other speaker that made a huge difference in my business is Jack Daly. He is a professional sales and marketing speaker. As a result of his 3-hour session with us, I decided that I needed to hire a sales coach and do things a little bit differently with my sales team. Through one of my other Vistage connections, I found a wonderful sales coach and he has been able to increase their customer satisfaction and closing rates quite significantly. Every year that I have been in Vistage there has been at least one speaker that has greatly changed the way I run my business. Each month you have one-on-one coaching, what is this like? I really enjoy the coaching sessions with my current chair, Greg Behm. He is very good at asking me questions that I don’t necessarily want to answer. I’ve never been to a therapist in my life but I would compare this experience to laying in a therapist’s chair. He knows my business, holds me accountable, helps me brainstorm ideas and really helps me follow up on the issues at hand. What advice might you offer to someone considering joining Vistage? First of all, don’t do it if you have to think about writing the monthly check. Don’t go into Vistage thinking it is a short-term fix. Think about being in it for at least five years. Even though our business is very successful and I could probably leave, I never would. I will leave the day that I retire. To me is not really even a decision. It is a lot to give up one day every month but it is so worth it. It is like continuing education. As long as you can afford it – just do it. 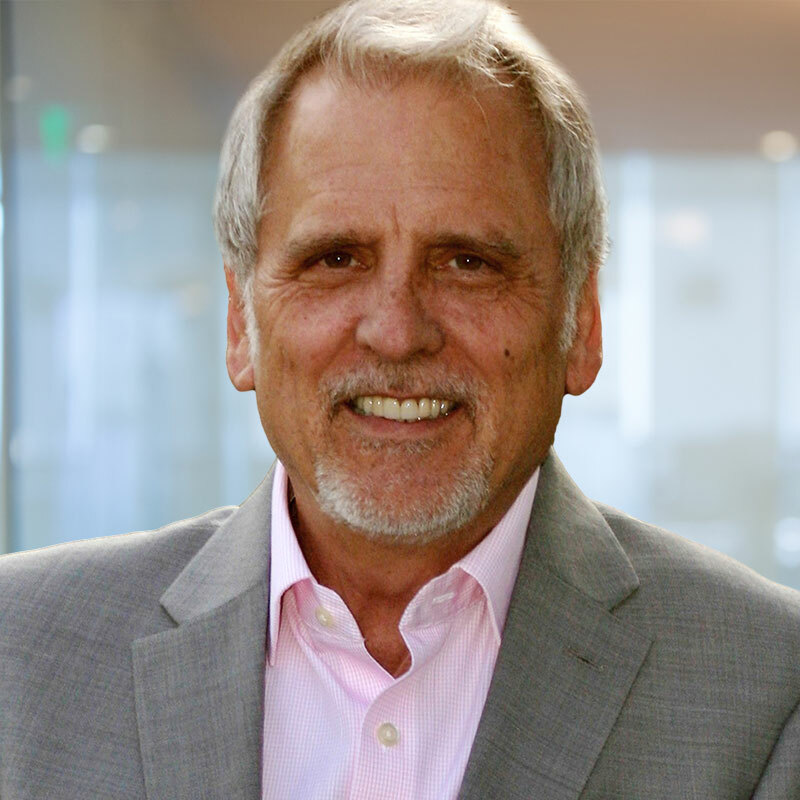 In a career which includes executive management roles with early stage startups, mid-sized, privately held companies, and large, publicly-traded corporations, Neil Anderson has spent the last quarter century infusing the interrelated, seminal elements of business strategy and marketing. His insights, which include competitive differentiation, determination of target markets, messaging, and selling, and the development of cohesive, gain-driven strategy, are perfect for businesses seeking assistance in navigating the leading edge and landing ahead of the curve.